1026.19 grams of cocaine found by fishermen off the waters of Barangay Sula, Vinzons town. 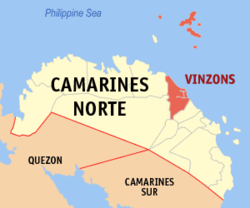 Vinzons, Camarines Norte, [02.11.19] – A pack of floating cocaine was uncovered by two fishermen on Sunday morning while fishing near the territorial waters of Quinamanucan Island in Barangay Sula in Vinzons, Camarines Norte. In a report submitted by the Vinzons Municipal Police Station to the Camarines Norte Police Provincial Office the cocaine was fish out of the sea by Alfredo Vega y Saenz, 61 years old and his son Alfredo Vega y Jalimao, Jr, 23 years old of Barangay Sula municipality of Vinzons. The pack of cocaine was seen by the father and son floating at around 8:30 in the morning and was brought to their village and unwrapped with the assistance of Alex Samosa, the village watch (barangay tanod), the report said. Upon discovery of a white powder whom they suspect as a prohibited drug, they turned it over to their village head (Punong Barangay) Rosemarie Abogado. Punong Barangay Abogado brought the found item to the Vinzons Municipal Police Station. The discovered pack was turned-over for examination to the Provincial Crime Laboratory Office and was declared under Chemistry Case Number D-59-19 as cocaine and it has a total weight of 1026.19 grams with an estimated street value of PhP5,438,807.00.